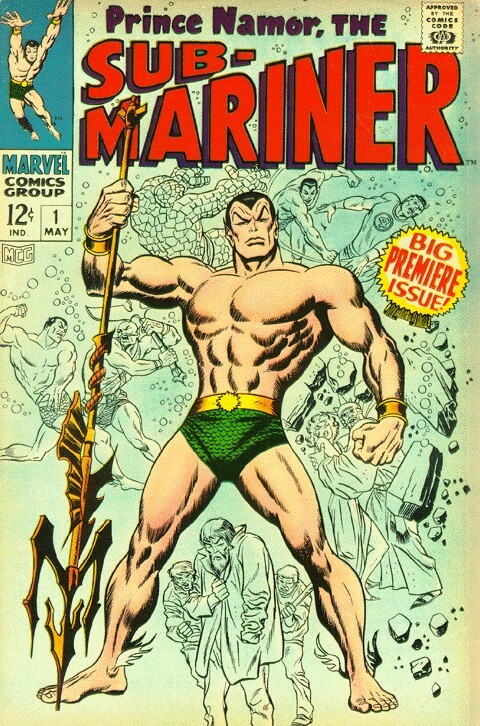 This is my finished Prince Namor, the Sub-Mariner! I made a copy of Peter Parker's head in plastic resin. 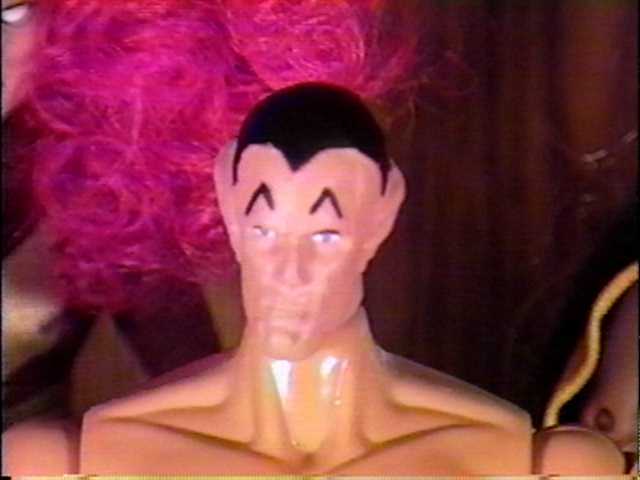 Then, I sanded back his hair, and changed some features with super sculpty. Painted it up and slapped it on! The body use to belong to Thor. It was a musclely body and had the gripping hand that I though would hold a trident well. This is the second pair of shorts, made with green lycra(?). The wings came from some doves I found in the craft section of WalMart (for a wedding cake or something). The belt and bracelets were made from a milk ring and the ring around a peanut jar. They were then painted gold with my wife's gold finger-nail polish. 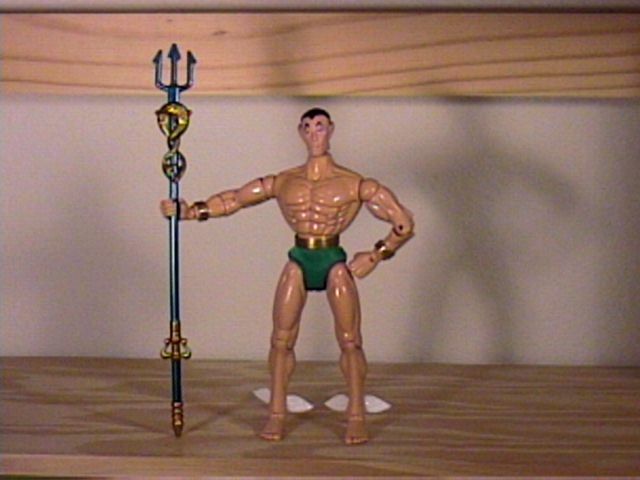 The trident came from a Mystic Knight 8" figure. A great cover for this figure!